Cinnamon | Life's Conundrum - Eat to Live or Live to Eat? 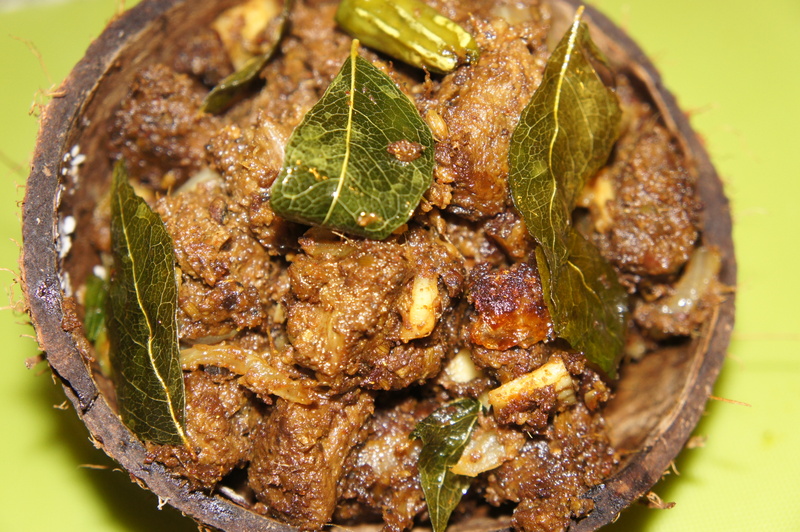 A favourite dish with many a Keralite, this dish makes a great starter for dinner parties. The dish is simple to make with many variations but the recipe below is one handed down to us from Anna’s mum and it hasn’t failed us so far. Grind all the paste ingredients in a blender till you get a coarse paste (add a bit of water if needed). 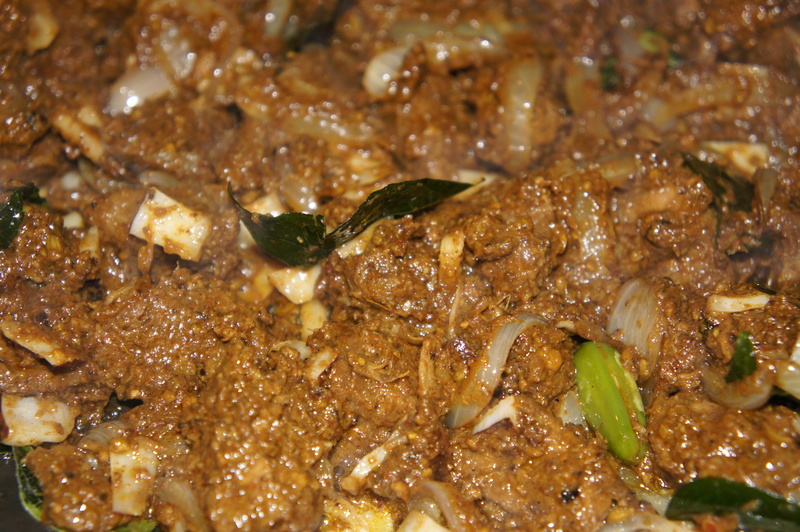 Wash the mutton and pat dry before mixing in the paste ingredients. Add salt to taste and allow the meat to marinade for a couple of hours (the longer the better). Place the marinated meat in a pressure cooker and cook for 30 minutes or till the meat is cooked. Once the pressure cooker is switched off and if you notice liquid build up then place the meat on the stove till all the liquid has evaporated. Heat a large pan and add the coconut oil, then add the curry leaves and green chillies and stir for a minute before adding the sliced onions. 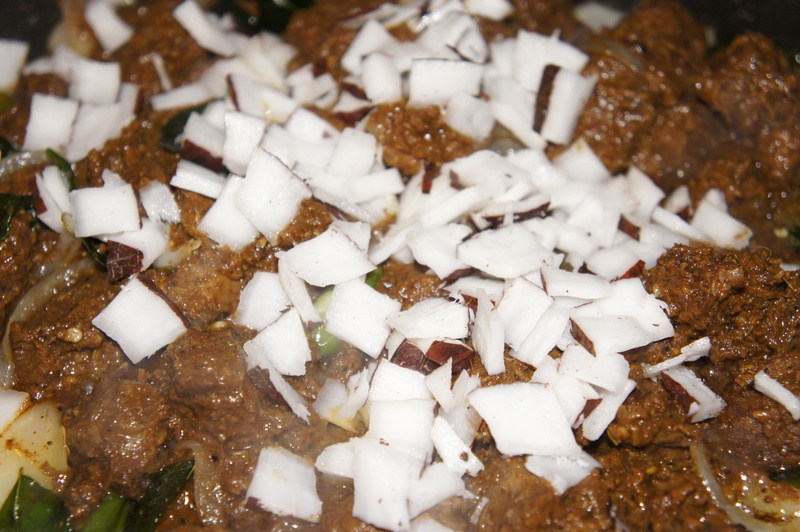 Saute on medium heat for 5 minutes before adding the cooked mutton and coconut. Keep tossing over medium heat till the meat begins to brown a bit. Take off the heat and serve with a nice ice cold pint of lager or beverage of choice.